Populations of three Gyps vultures in India and Nepal crashed by up to 99% during 10-15 years from the early 1990s. Three affected species, the white-rumped vulture, the long-billed vulture and the slender-billed vulture are all now listed as Critically Endangered. Of these, the white-rumped vulture had previously numbered in the millions, and was possibly the most abundant large bird of prey in the world. The long-billed vulture had also been very common in India, while the slender-billed vulture had historically been less common. The problem was originally highlighted by Dr Vibhu Prakash, principal scientist of the Bombay Natural History Society (BNHS). He identified that in just ten years the white-rumped vulture and the long-billed vulture had declined by 96% and 97% respectively in Keoladeo National Park, Rajasthan. 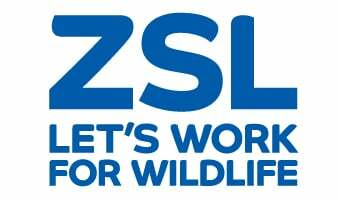 From 1999 ZSL worked closely with the BNHS, the RSPB and other concerned conservation partners to investigate this problem. As a result of impressive conservation science, the causes of this decline were identified. The most significant was a veterinary drug, diclofenac, given to cows by farmers. When vultures feed on drug-contaminated cow carcasses, they suffer rapid kidney failure and death (India and Nepal being primarily Hindu countries, cows are regarded as sacred and not eaten, so cows’ carcasses are normally disposed of in open areas where vultures feed on them). Even if less than 1% of carcasses are contaminated with diclofenac, this is enough to decimate vulture populations. How has ZSL helped to protect vultures? ZSL and partners called for a ban on diclofenac, passed in 2006 in India and Nepal. Other conservation measures included a massive media campaign, raising awareness of the vultures’ plight, and their role in our ecosystems, especially benefitting human beings. Joint covert operations with government and local conservation agencies helped ensure that no shops sold any illegally produced diclofenac. To encourage uptake of a non-toxic alternative medicine (meloxicam), local conservation agencies ran a medicine-swapping programme where farmers could swap any diclofenac stored before the ban, for an equivalent amount of meloxicam. There are now vulture conservation breeding centres in India and Nepal, and seven ‘vulture restaurants’ (the first was in Pithauli of Nawalpur District, Nepal). These rescue old cows, and once they die a natural death, feed them to vultures, ensuring safe food for these critically threatened birds. ZSL has been actively involved in conservation breeding, survey work, and community education programmes to help protect the remaining populations. The numbers of all three species are improving each year as a result of these joint efforts by conservation partners. Mohammed bin Zayed Species Fund; Disney Worldwide Conservation Fund; Prince Bernhard Fund for Nature; UK Trust for Nature Conservation in Nepal; National Birds of Prey Trust; Friends of Conservation; AZA Falconiformes TAG; Darwin Initiative; Universities Federation for Animal Welfare (UFAW); King Mahendra UK Trust; UK Trust for Nature Conservation in Nepal.